Bailey Bram first started playing hockey games at four, wanting to be just like her two older brothers. Growing up, Bailey led most of her teams in scoring, and played for team Manitoba throughout high school in Winnipeg. Graduating from Balmoral Hall in 2008, Bailey went on to attend Mercyhurst University, playing women’s hockey games for the Lakers. Her first year, Bailey led the team as well as the league’s freshmen in scoring, and was named College Hockey America’s Rookie of the Year. Since Bailey’s dominance as a young female hockey player, she has gone on to be successful as a member of many Canadian National teams. Bailey played her first World Championship as a U18 female hockey player in 2008, where Team Canada won silver. During the years Bailey was eligible as an U22 player, she continued to attend tournaments with Canada, finally moving on to represent the Senior National Team starting in 2012, when the women’s hockey team won gold in the 2012 Women’s World Championships. Currently, Bailey plays for the Calgary Inferno with fellow Manitoban and senior national team member Brigette Lacquette. Despite her many achievements on the ice, the Ste. Anne native is most proud of completing her college education, becoming the first in her family to do so. As for hockey, Bailey has been competing for an Olympic spot harder than ever for the last four years, after being one of the last three players cut for the Sochi 2014 Olympic team. Bailey was named to Canada’s Olympic hockey team in December 2017, and will make her Olympic debut in PyeongChang, fulfilling her dream of representing Canada at the hockey’s biggest tournament. THE ICE GARDEN (Mar 4) The Calgary Inferno and Les Canadiennes de Montreal will compete in the Clarkson Cup Final on Sunday afternoon in a rematch of last year’s championship. CALGARY HERALD (Feb 6) Forward Bailey Bram said that the Inferno have set their sights on earning the top seed heading into the CWHL playoffs, which start on the weekend of Feb. 24-26. 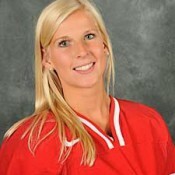 FANRAG SPORTS (Jan 16) Bailey Bram is now in her third season with the Calgary Inferno. In her first two seasons fans came to know her as a big, skilled forward with a great two-way game. But this year has been different. 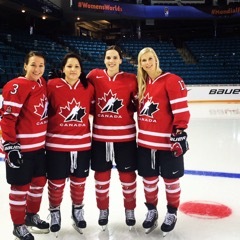 THE CHRONICLE HERALD (Oct 30) Bailey Bram scored the eventual winner near the midway point of the second period as Canada’s national women’s team topped Finland 4-1 on Sunday in a tune-up match ahead of the Four Nations Cup. MYTOBA.CA (Sept 8) Defensemen Jocelyne Larocque, Halli Krzyzaniak and Brigette Lacquette and forwards Jenelle Kohanchuk and Bailey Bram have been invited to Hockey Canada’s women’s Fall Festival.